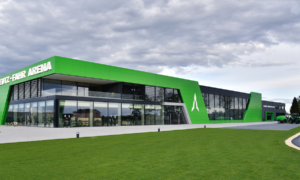 FROM JUNE, THE DEUTZ-FAHR ARENA WILL PROVIDE FARMERS AND CONTRACTORS WITH A SPECIAL BRAND EXPERIENCE AT DEUTZ-FAHR – LAUINGEN. 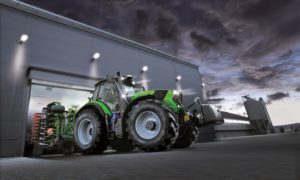 WITH TWO MODELS (226 AND 246 HP), THE NEW 7 SERIES FROM DEUTZ-FAHR DELIVERS THE BEST GERMAN TECHNOLOGY FOR ULTIMATE PRODUCTIVITY. 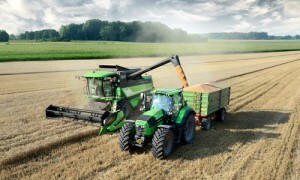 DEUTZ-FAHR PRESENTS A NEW RANGE OF COMBINE HARVESTERS FOR THE THIRD CONSECUTIVE YEAR. THE C6000 SERIES CONSISTS OF HIGHLY EFFICIENT COMPACT UNITS FOR FARMS THAT PREFER TO RELY ON THEIR OWN MACHINERY AND RESOURCES WHEN IT COMES TO HARVEST.